We received our Act 250 permit this morning! Hunting Season is happening – the Aqueduct Property is open to hunters – so if you decide to ride, dress in bright colors and make your presence known. This weekend is Youth Rifle season, and regular Rifle season (for Deer) starts on November 10. WAMBA has chosen to refrain from leaf blowing the trails until spring clean up. We like the way this protects the trail tread from freeze thaw cycles, and results in less damage over the winter. We’ll blow them off in the spring – don’t worry! All tree blowdowns have been cleared – Thank you sawyers! The trails are holding up pretty well to all the moisture we’ve been getting. Please – Use your discretion about riding wet and muddy trails as we head into the late fall riding season. If you are leaving a big muddy rut – things are too wet – and you should go do something else. The pumptrack is under re-construction and is closed. Dyno-mite is under re-construction and is closed. 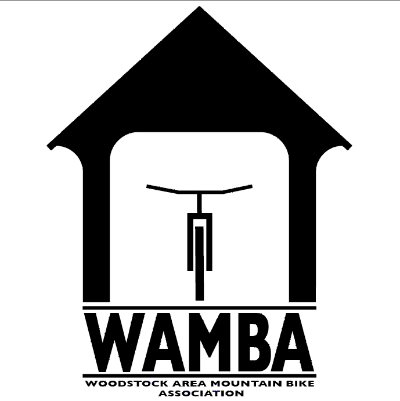 If you have skills and are interested in volunteering to help WAMBA – let us know. We can always use help in Fundraising, Grant Writing, Sponsorship, etc. email: info@mtbwoodstock.com if you’d like to help.